Fujitsu may not be the biggest name in portable computing but they produce incredibly stylish laptops. Design, reliability and high end specification all merge to create state of the art machines. 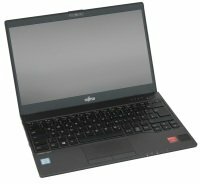 With their small form factor the Fujitsu Lifebook series of computers are the perfect portable machines for the busy business user. With their minimum weight they are easy to transport in a bag or briefcase and are ideal for working on the move. But Fujitsu are able to combine thin and lightweight design with amazingly fast Intel i7 processors to produce a machine that can blitz through the heaviest workloads. The performance is enhanced by fast SSD drives, HD graphics and plenty of RAM. And with a choice of screens from 12" to 15.9" there will be a model to suit everyones need. And, with super-fast wireless connectivity, Fujitsu laptops are the ideal travelling companion for the morning commute or for working between meetings. And the business user is fully protected with a full suite of data protection tools keeping valuable information safe and secure. 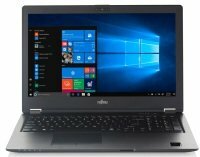 With free UK delivery* and the low, low prices on Ebuyer.com you won't find a better deal on Fujitsu laptops anywhere else online. So order today.